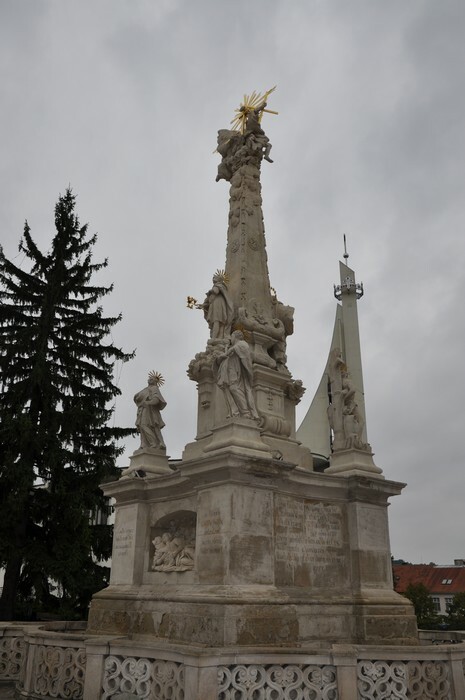 The 14 m high column dominating the upper end of the main square comes from 1736. Is dedicated to the so-called plague protectors (St. Roch, St. Sebastian, St. Francis Xavier, St. Charles Borromée). At its foot there is a statue of the Virgin Mary and St. Joseph, and figures of St. Elizabeth and Rosalia in the contours of a cave. St. Trinity with a halo is on the top.